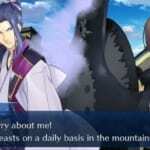 THIS ARTICLE CONTAINS THE STATS, STRATEGY, AND GUIDE FOR SAKAKI KOJIROU. WE WILL UPDATE THIS AS SOON AS THE GAME COMES OUT. 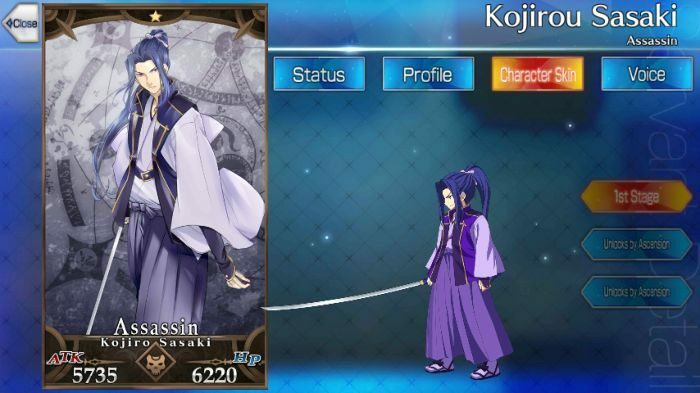 This article contains the skills, stats, strategy, and ability of Kojirou Sasaki of the Assassin class from Fate Grand Order [FGO]. A rather common 1 Star Assassin class servant available through Friend Point Summoning. Due to his class and natural command card draws, he excels in gathering C. Stars through a high draw count of 3 Quick Cards. He fares well against enemy Wyverns in Chapter 1 due to servant class advantage. He finds his niche as a C. Star collector especially when the distribution of Critical damage is spread across his teammates. This specialization is felt even through his Noble Phantasm which can generate even more C. Stars after dealing single-target damage. Focus on reinforcing Vitrify to minimize CT to a measly 4, this allows him to commit to C. Star gathering in a short span of time. 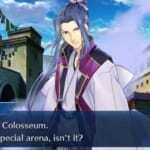 When deciding for allies, consider those which are reliable recipients of C. Stars generated. Hassan of the Cursed Arm comes into play as another Assassin with a similar Command Cards composition. Feel free to switch up their roles during combat as both of them take turns in dealing and gathering Critical damage and C. Stars respectively. Imaginary Around extends the effectiveness of Quick Cards from 25~30% with additional ATK. 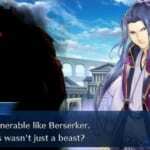 If you do not mind going for a lower cost alternative, Gandr should suffice for the meantime. On the other hand, if your ally already has Imaginary Around, another equipment is Gem Magecraft: Antumbra. Similar to above mentioned card, this CE is suitable for Quick Card reliant servants. The only difference is that, instead of gathering, it boosts Critical damage by 25~30%. Substitute the 3 Star Rin’s Pendant in case you have that instead. Presence Concealment D Heightens unit’s critical star generation rate by 4%. 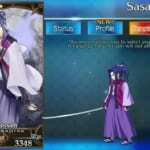 If you’re looking for Sasaki’s Interlude Quest, click here. Mind’s Eye (False) A 3 8 Applies self evasion for 1 turn. Vitrify B+ – 6 Dispels self’s mental debuffs. Knowledge of the Sowa B 3 7 Self’s attacks will ignore evasion. Knowledge of the Sowa B++ 3 7 Self’s attacks will ignore evasion. Heightens self’s Star Absorption rate. Identified as Sasaki Kojirou, whose real name is assumed to be Tsuda. Kojirou is a mysterious japanese man whose identity remains unknown. None of the records show where exactly he was born, and the story of his life passed on by speech and not by writings. Even if it were true, lack of evidence supports his existence, and the contemporary records handed down from generations is likely to be a work of fiction. There is a chance that sometime ago a man by the name of Sasaki Kojirou carried the sword Monohoshi Zao. He takes the form of the legendary swordsman Sasaki Kojirou because his data is most compatible to him. As opposed to Heroic Spirits, his manifestation leans more towards that of wraiths.